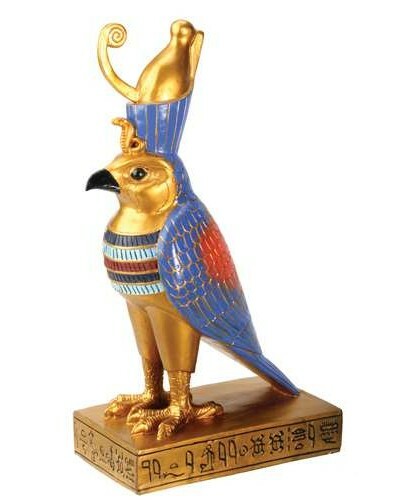 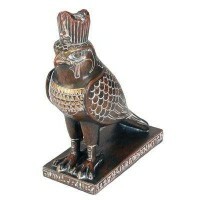 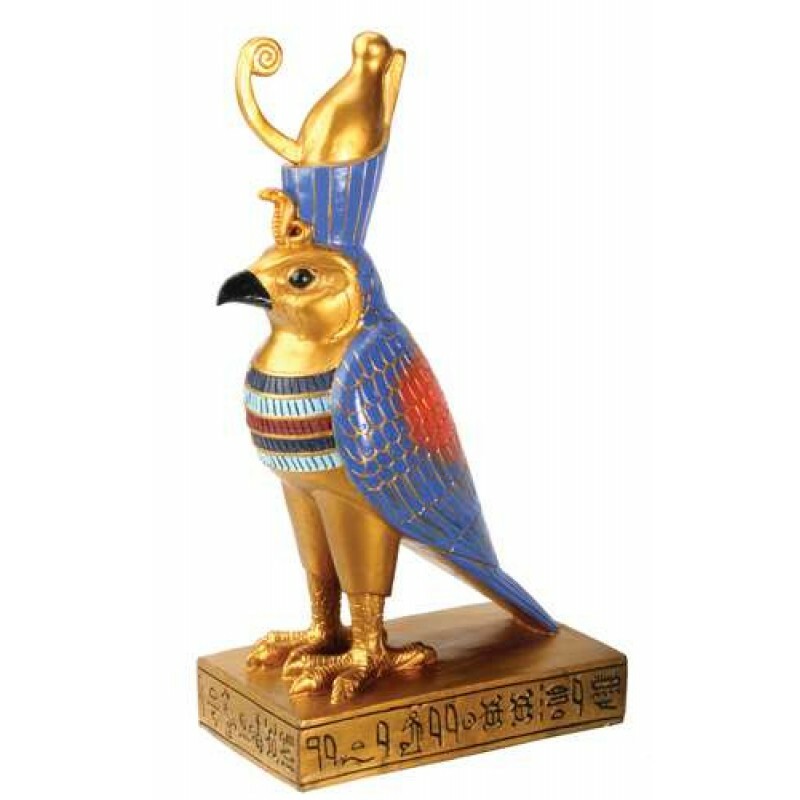 Horus was represented either as a falcon-headed man or as a falcon. 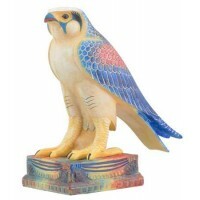 This cold cast resin statue is 8 3/4 inches high with hand painted color detail. Item Number: YT-5100 | Approximate Size (Inches): 4.75 wide x 2.75 deep x 8.75 high | Approximate Shipping Weight: 2.00 lbs.